To call your INFINITI just a car does this exceptional vehicle a disservice. From its exquisite design to its precise performance, an INFINITI is a work of art — and it deserves to be treated as such. An important part of keeping your INFINITI in pristine condition is regular maintenance, including oil changes. Let’s take a look at what that entails. Why is getting my car’s oil changed important? Oil serves as a lubricant and coats all the moving parts of your engine. If the quality of your oil is low, so is the level of lubrication — which can lead to engine damage. Replacing your oil regularly ensures a continuous flow of high-quality oil that will help keep your INFINITI running properly. How do I check the oil in my car myself? Wait at least 10 minutes. Pop the hood and locate the dipstick in the oil reservoir. Pull the dipstick out and wipe it across a lint-free cloth. Place the dipstick back in the reservoir and pull it out again. Check for an oily film on the end of the dipstick. If there are particles floating in the oil or the oil on the dipstick appears dark in color, bring your car in for service. What happens during a professional oil change? Assess the level and quality of your oil. Drain the old oil from the reservoir. Replace the old oil filter. Add new oil to the reservoir. Where can I get an oil change near me? From oil changes to other maintenance and repair needs, your INFINITI deserves the best. 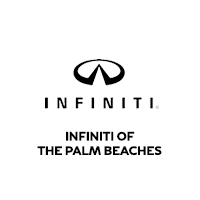 That’s why at the INFINITI of the Palm Beaches service center, we offer a staff of factory-trained technicians who know the ins and outs of your one-of-a-kind vehicle. Schedule your next service appointment online. Have any questions? Give us a call at (561) 220-5393 or stop by our dealership in West Palm Beach, Florida. We’re conveniently located at 3101 Okeechobee Blvd.